\\\\\\\\\\\\\\\\\\\\\\\\\\\\\\\\\\\\\\\\\\\\\\\\\\\\\\\\\\\\\\\\\\\\\\\\\\\\\\\\\\\\\\\\"Ben Hecht's book explains in clear language everything needed to successfully engage in nonprofit housing development. He tells how to find the money, how to generate good design and quality construction, and how to improve management―a complete, well-researched, and well-presented 'A to Z' approach.\\\\\\\\\\\\\\\\\\\\\\\\\\\\\\\\\\\\\\\\\\\\\\\\\\\\\\\\\\\\\\\\\\\\\\\\\\\\\\\\\\\\\\\\"
\\\\\\\\\\\\\\\\\\\\\\\\\\\\\\\\\\\\\\\\\\\\\\\\\\\\\\\\\\\\\\\\\\\\\\\\\\\\\\\\\\\\\\\\"Ben Hecht's book makes the affordable housing development process accessible for communities and practitioners everywhere. Developing Affordable Housing should be on the bookshelf of every organization that cares about people and wants to make affordable housing possible.\\\\\\\\\\\\\\\\\\\\\\\\\\\\\\\\\\\\\\\\\\\\\\\\\\\\\\\\\\\\\\\\\\\\\\\\\\\\\\\\\\\\\\\\"
\\\\\\\\\\\\\\\\\\\\\\\\\\\\\\\\\\\\\\\\\\\\\\\\\\\\\\\\\\\\\\\\\\\\\\\\\\\\\\\\\\\\\\\\"The development of affordable housing is as much a journey as a destination. Ben Hecht's book provides maps and bridges while not losing sight of the challenging but elusive goal of providing decent, safe, and affordable housing.\\\\\\\\\\\\\\\\\\\\\\\\\\\\\\\\\\\\\\\\\\\\\\\\\\\\\\\\\\\\\\\\\\\\\\\\\\\\\\\\\\\\\\\\"
\\\\\\\\\\\\\\\\\\\\\\\\\\\\\\\\\\\\\\\\\\\\\\\\\\\\\\\\\\\\\\\\\\\\\\\\\\\\\\\\\\\\\\\\"In our work to increase the supply of safe, decent homes for those who need homes the most, we appreciate the power of partnerships and the value of information. So does Ben Hecht. 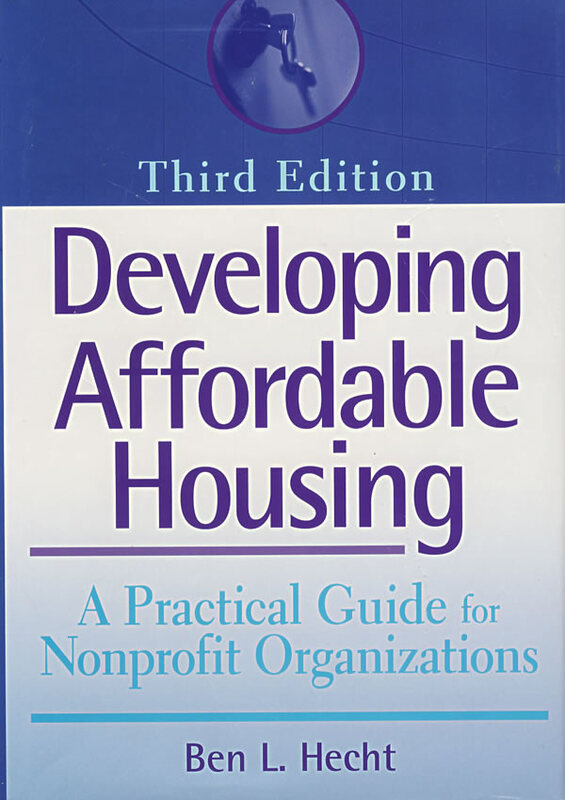 Developing Affordable Housing is more than a practical guide for nonprofits―it's a library, a trusted advisor, and a road map. Read this book and benefit from its wisdom.\\\\\\\\\\\\\\\\\\\\\\\\\\\\\\\\\\\\\\\\\\\\\\\\\\\\\\\\\\\\\\\\\\\\\\\\\\\\\\\\\\\\\\\\"